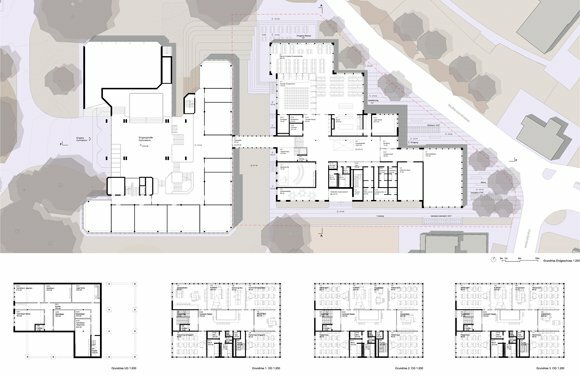 Competition Entry for the Extension to the Gymnasium Muenchenstein, Basel. 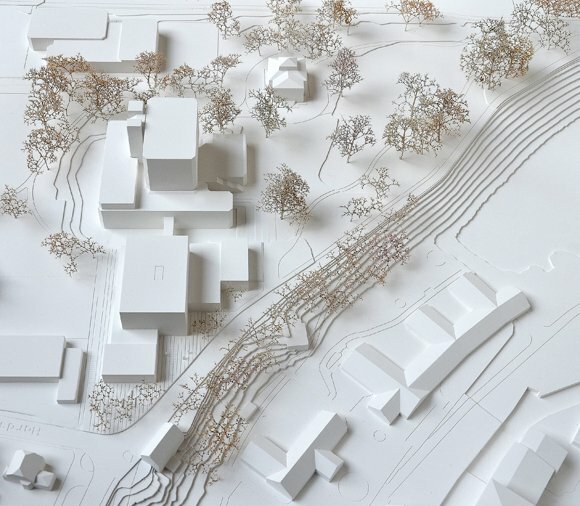 VOSS Architects in collaboration with JL Architekten, Waldhauser Hermann, ZPF Ingenieure and Visiotec. 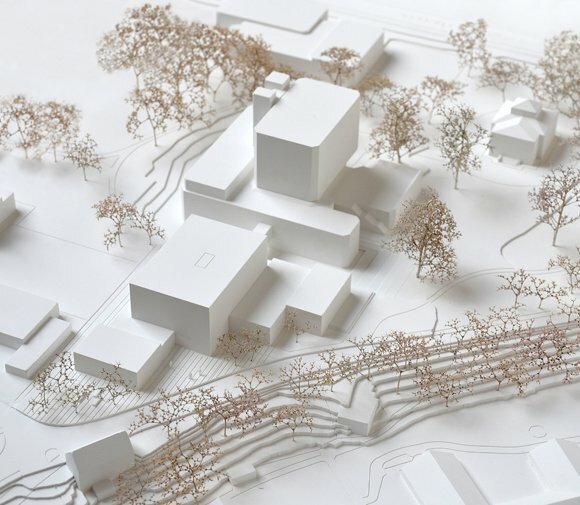 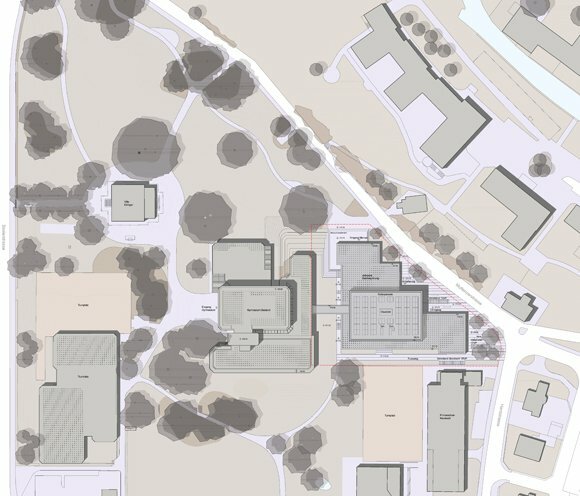 The proposed extension to the 1970th existing Gymnasium is situated in the landscape park of the Villa Ehinger in Muenchenstein and comprises of ten classrooms, a sports centre, refectory, multi purpose assembly room as well as a new entrance hall.